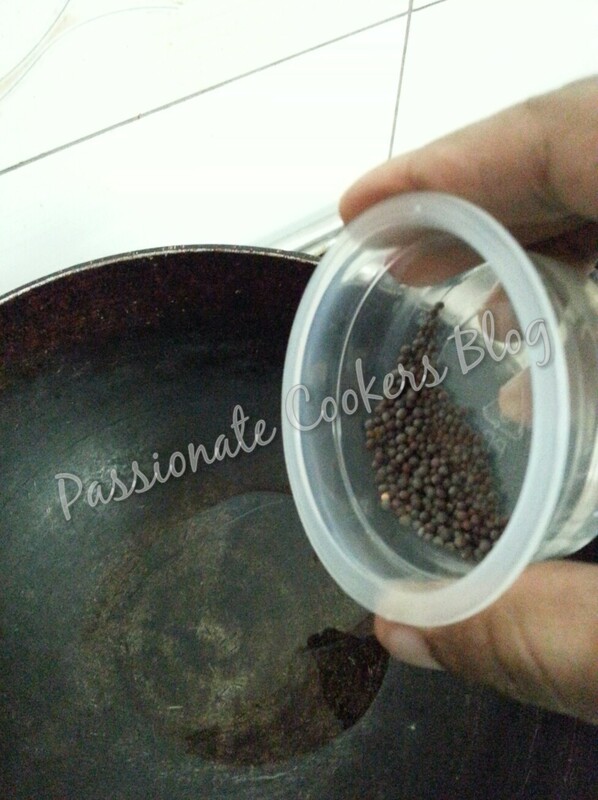 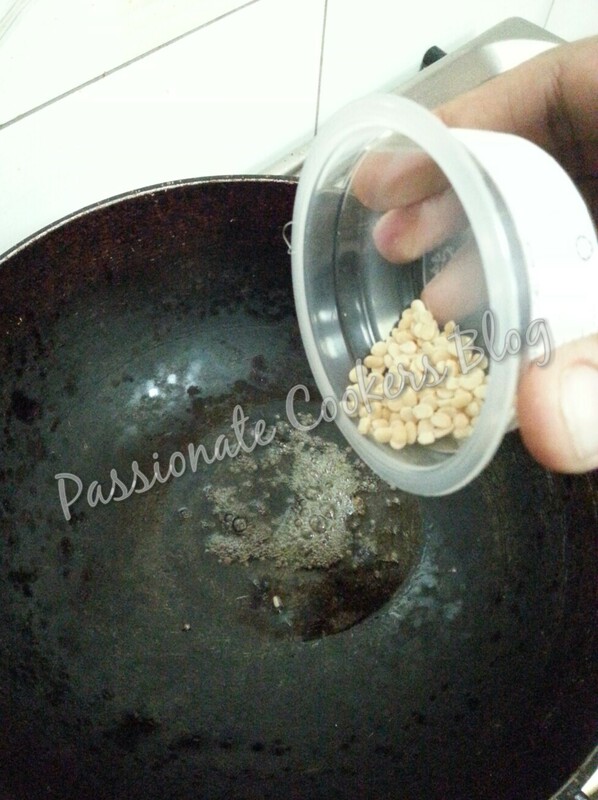 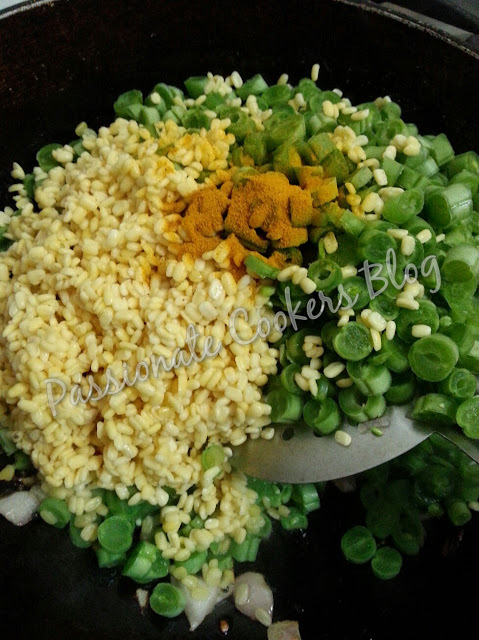 Then add the urad dal and fry till its slightly browned. 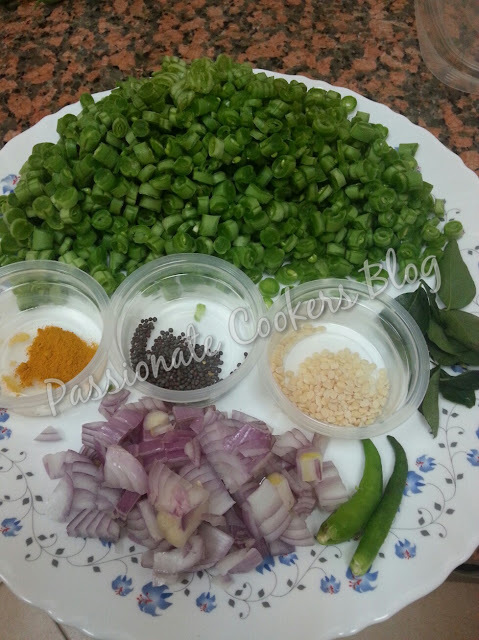 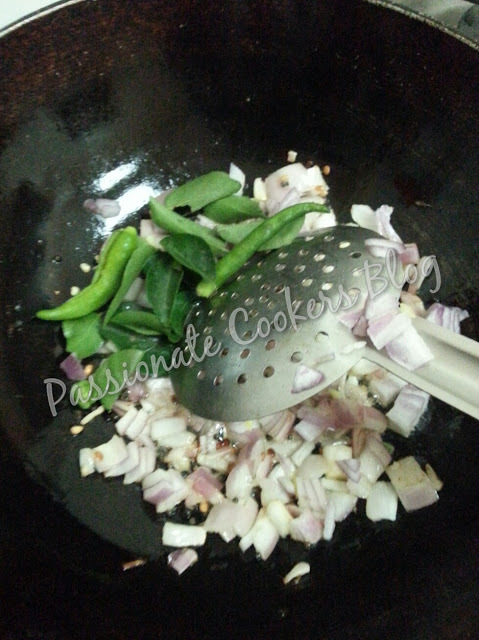 Add the chopped onions, slited chillies and curry leaves and fry till the onions are translucent. Now add the chopped beans and soaked moong dal to the pan and add turmeric and salt to taste. 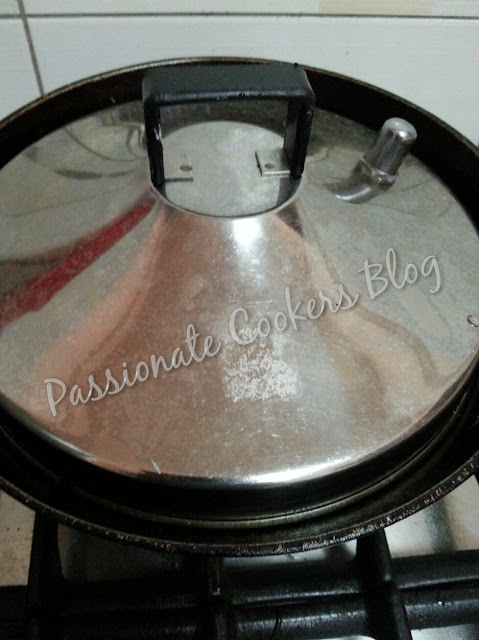 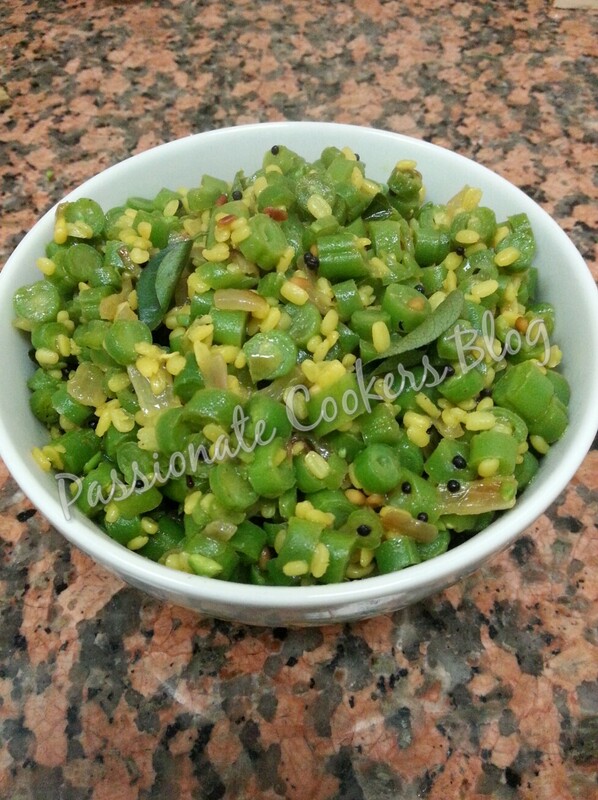 Serve with steamed rice n sambar.